Sign-up using the form or call us at (614) 785-9999 to take advantage of this exclusive offer. Your N.U.C.C.A. Chiropractor in Worthington. Call us today at (614) 785-9999! Pain relief and Wellness Care using the gentle & safe N.U.C.C.A. Chiropractic Technique. Worthington chiropractor Danielle Rice, DC at Worthington Family Chiropractic is the best chiropractor in the Worthington area specializing in the gentle and safe N.U.C.C.A. chiropractic care and wellness. There are approximately 300 NUCCA doctors nationwide who have mastered this technique. 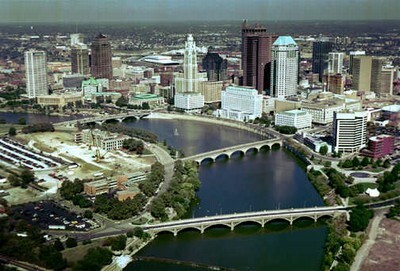 Dr. Rice is currently representing and serving the Columbus, Ohio area. Dr. Danielle Rice is a chiropractor committed to providing pain relief and wellness care for many symptoms and conditions so that you can have a higher quality of life. Don't just take our word for it though; visit our testimonials page to see what our patients have to say. At our Worthington chiropractic office you will receive the best care through the use of modern chiropractic techniques and technology. Dr. Danielle Rice and the staff at Worthington Family Chiropractic have a genuine concern for your well-being and health! Call us today and we can develop a chiropractic plan specific for you. If you are new to our website, please browse around to learn about our practice and to discover the wonders of chiropractic and wellness. Click on the "email us" link below to ask us a question or to send us feedback. To receive free wellness and health articles subscribe to our bi-weekly newsletter. If you are already a newsletter subscriber, please explore the member wellness section of our website for animated exercise videos, wellness articles, chiropractic resources, and health facts specifically targeted to your wellness needs and interests by Dr. Danielle Rice. We will do our best to work with your busy schedule. Schedule an appointment today! Dr. Danielle Rice, a native of Gahanna, Ohio, currently resides in Powell, Ohio with her husband and two boys. Upon receiving her undergraduate degree in Biology, Pre-Med at , she entered where she graduated with honors in February 2003 with a Doctor Of Chiropractic Degree. "Well Dr. Rice is only one of two NUCCA doctors in central Ohio…. And I sure believe that, the NUCCA technique should be used by more chiropractors. You owe it to yourself to get your head on straight, so to speak…, so your back can do its job correctly, and not put excessive stress on the rest of your spine."